The music of Jack Williams, rooted in his native South Carolina, is shaped by a 51-year career of playing folk, rock, jazz, R&B, classical and the popular music of the 30s, 40s and 50s. 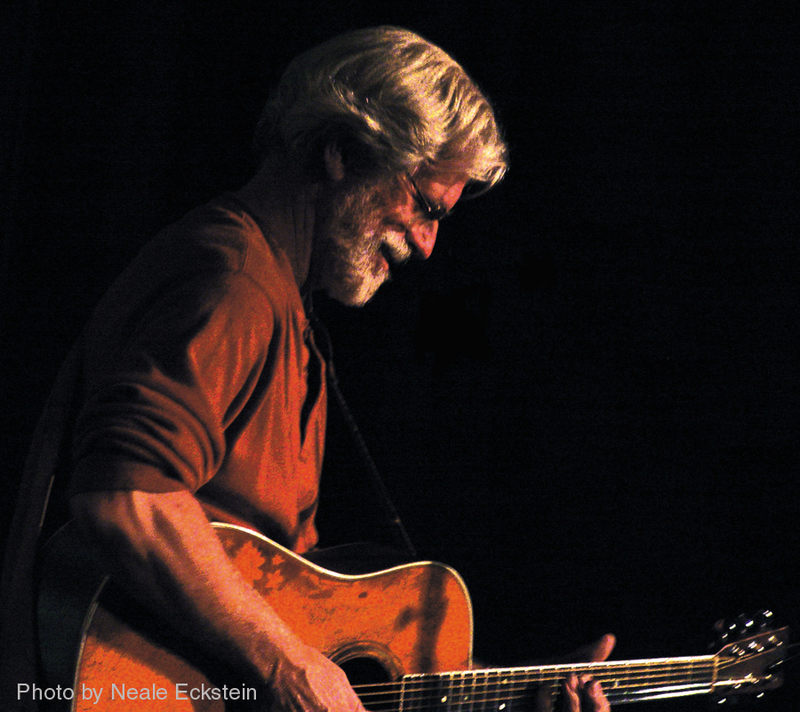 He is counted among the most dynamic performers on today’s “folk” circuit – “…one of the most enlightened and entertaining performers I’ve ever encountered”, said Dave Humphreys of Two-Way Street Coffeehouse in Downer’s Grove, IL. Avoiding the compromises of the commercial music industry during his 50+-year professional career, Jack prefers touring under the radar, playing concerts, large and small, week in and week out, from the sheer love of music and performing. Playing for more than 50 house concerts each year, Jack enjoys the intimacy of that venue most of all, with a more personal connection to his listeners. Jack is a sought-after artist on all contemporary acoustic music stages, from coffeehouses to music halls and city arts stages. In addition to his solo career, as a guitarist he has accompanied such luminaries as Tom Paxton, Peter Yarrow, Mickey Newbury and Harry Nilsson. From acclaimed appearances at the Newport, Boston, Philadelphia, Kerrville, New Bedford SummerFest Folk Festivals, his musicianship, songs, stories and commanding presence have established him as an uncommonly inspiring and influential performer. Jack frequently shares his musical knowledge with others. In addition to leading numerous workshops as he tours the country, he has been on the staff of The Swannanoa Gathering in NC, Lamb’s Songwriter Retreat in MI, The Folk Project in NJ, WUMB’s Summer Acoustic Music Week in NH, and co-hosts a semi-annual Music Workshop Weekend near his home in the Ozarks. Jack has eight CDs of original music on the Wind River (Folk Era) label, plus his DVD “High Cotton”, a collection of on-stage performances. His newest release, “Bound for Glory” is a two-disc recording of a complete concert before a live audience in Ithaca, NY, for Phil Shapiro’s radio show of the same name. His CD “Don’t Let Go” is a collection of cover songs reflecting major influences on his musical development. He produced all of his own recordings plus CDs by Mickey Newbury, Ronny Cox, Eric Schwartz, and others. Friendships with two great singers had an enormous impact on Jack’s career and on the development of his own singing voice. In 1973, his relationship with the late Harry Nilsson resulted in an album effort at RCA during an ill-fated period of music industry turmoil. Until 2002, he sometimes toured as sole accompanist to his friend, the late Mickey Newbury, with whom he co-wrote, co-produced, and recorded a live album and video, Nights When I Am Sane (reissued as Winter Winds).